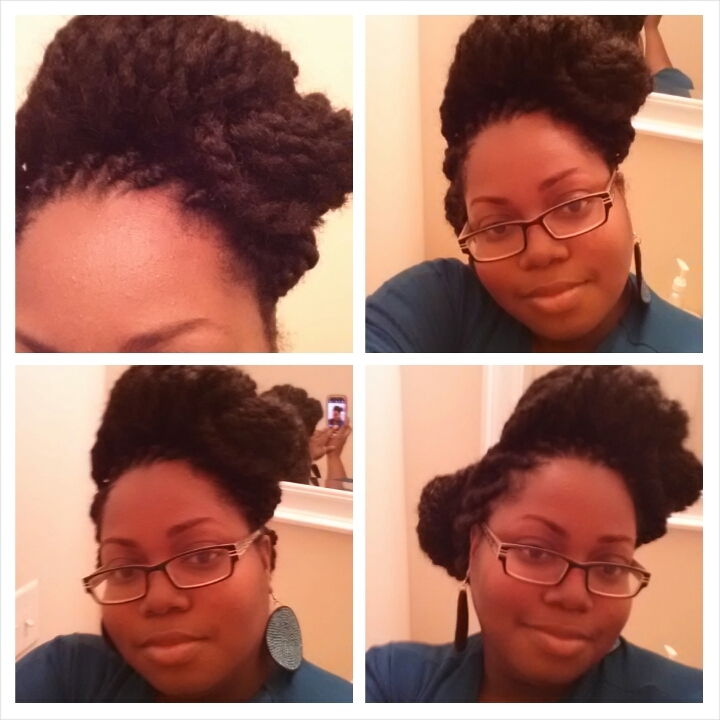 ← Another Marley twists style..cute or nah? I want to say thank you for all of the suggestions, comments and advice you all have given me these last few days. I’m a still very much not liking the Marley twists. My husband does not prefer them either. I’m trying to stick it out so I have followed your advice and checked out everything from blogs to YouTube tutorials to figure out how to style it. Here are some pics, let me know what you think. I don’t think they look bad. From what I’ve seen, this blog is lovely. Well written and detailed, lots of pictures, and the growth! That’s inspiration. Looks like you’ve been able to update for years and that’s really cool. I admire the dedication.